REEL 1 Background in Manchester, 1893-1914: education at Manchester Grammar School including attending talk by Shackleton; recruitment and training with 6th Bn Manchester Regt, 1911-1914; expertise at rifle shooting; approach of war; mobilisation, 4/8/1914; composition of 42nd Div and 6th Bn Manchester Regt; story of shooting competition. REEL 2 Period in camp at Garstang, 8/1914-9/1914: recall from billeting party to Wellingborough, 9/1914; stand to due to invasion scare. Recollections of voyage aboard Corsican to Alexandria, Egypt, 9/1914: purchases from Gibraltar 'bum boats'; meeting 29th Div in Mediterranean; conditions; lifeboat drill; disembarking; requisitioned vehicles used as battalion transport. Recollections of period at Mustapha Pasha Barracks, Alexandria, 9/1915-1/1915: acting as guard to company room clerk; topees; tents; fly problem; bedding; scorpion problem; training; arrival of ANZACs, their superior pay rates and question of relationship with Egyptian civilians. REEL 3 Continues: parade on arrival of McMahon; guarding German POWs and internees aboard Heligoland, Lutzow, Derflinger; voyage as guard of German POWs and internees aboard Osmania to Valetta, Malta. Recollections of period at Abbasia, Cairo, 1/1915-4/1915: training and method of practising landing; question of transferring to machine guns; recreations and visit to Pyramids. REEL 4 Continues: review by Hamilton; morale; relationship with Egyptian civilians; barrack accommodation; question of Gallipoli strategy. 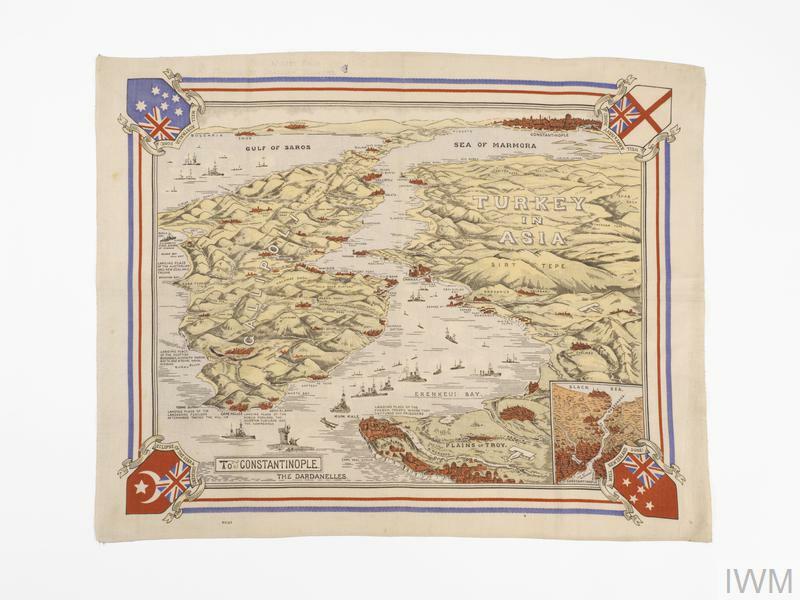 Voyage on Derflinger to V Beach, Gallipoli, Turkey, 1/5/1915-6/5/1915: return of excess kit to GB; equipment carried; making makeshift bodywarmer from abandoned Australian blankets; knowledge of destination; view of naval bombardment; question of return trip to Gallipoli, 1975; reports of landings, 25/4/1915; equipment carried on landing via River Clyde, 6/5/1915. REEL 5 Continues: landing via River Clyde, 6/5/1915. Recollections of period at Helles, 5/1915-6/1915: initial movements and digging slit trenches; story of cousin being unnecessarily wounded and evacuating him to dressing station; acting as ammunition numbers for artillery; terrain; move into front line; casualties; wet conditions; searching trees for snipers; story of meeting Senagalese troops and Sedd el Bahr fort; story of brother wounded whilst sniping; water supply; question of washing and sea bathing at X Beach; Greek canteen on beach; food rations and method of cooking; sniping activity and methods; officers. REEL 6 Continues: question of being mentioned in despatches; origins of Other Ranks and officers; digging jumping off trench for attack planned on 4/6/1915; personal morale; sniping activities and casualties; Turkish barbed wire; artillery situation, lack of howitzers and effects of Asiatic Annie shellfire; story of being wounded in bottom and upper leg whilst carrying rations forward to new line, 6/1915; failure to diagnose seriousness of wound during evacuation by stretcher and ambulance to dressing station on V Beach. Story of ship opening fire on U Boat periscope whilst evacuated aboard HMS Reindeer to Mudros, Lemnos, 6/1915. Recollections of voyage aboard Neuralia to Malta, 6/1915: conditions; wound cases. 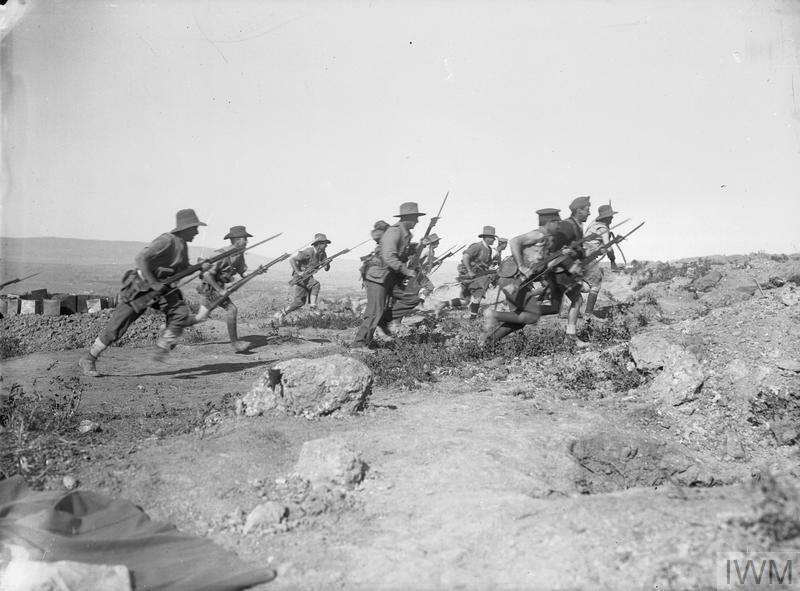 REEL 7 Continues: seriously wounded friend; question of medical attention provided; burials at sea; reaction to leaving Gallipoli; disembarking at Valetta. Recollections of period at Military Hospital, Valetta, 6/1915-8/1915: reception from civilians; cousin's war career; medical treatment including use of Thomas Splint and removal of bullet. Conditions during voyage on Dongola to Southampton, GB, 8/1915. Circumstances of being sent to Central School Hospital, Manchester, 9/1915: parents' visit; early X Ray; subsequent operation and temporary disability allowance. Various aspects of Gallipoli service, 1915: question of air activity; strategic value; opinion of Turks.